2017 is going to be an exciting year for Extreme Community Makeover! If you didn’t see our message last week about the social enterprise we’re launching, read the details here. This message is also full of ways to connect so I hope you can choose at least one way to get involved. There’s even an opportunity to win a $25 Amazon gift card…if you keep reading. 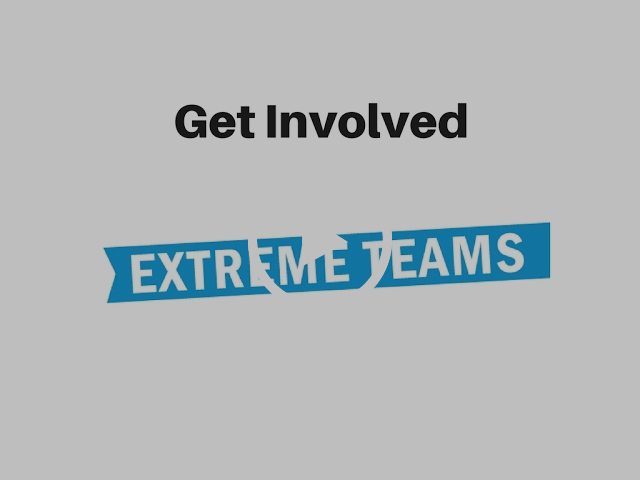 We will be kicking off our year with the Extreme Teams volunteers later this month. These volunteers use their skills in communications, fundraising, logistics, projects, video, and other areas. The expectations are pretty straight forward – attending four team meetings during the year and signing up for a minimum of three Work Days. You can find more details about the expectations for getting involved here and check out the video below. Our first team meeting is on Monday, February 27 at 6:30 pm, so it would be good to know if you’re interested in joining a team prior to that meeting. 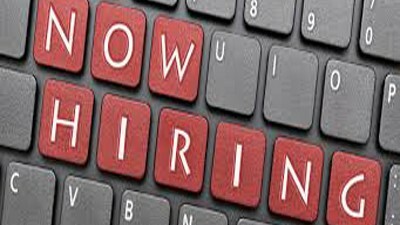 We currently have a job opening for a program assistant, which is a 24 hour per week position, starting in late February or early March. Find the full job description here. And spread the word to anyone who could be a good fit! 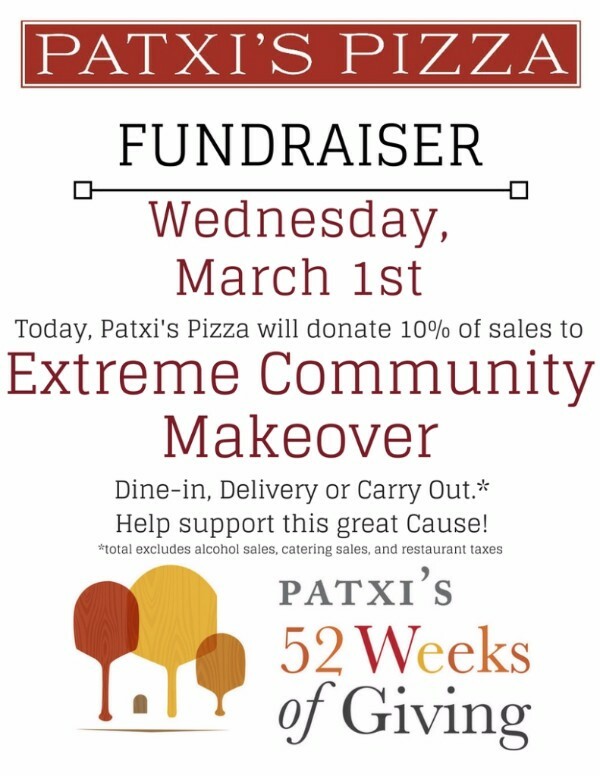 On Wednesday, March 1, dine in or carry out pizza for lunch or dinner from the Patxi’s Pizza in Cherry Hills (Hampden & University) and 10% of proceeds will be donated to Extreme Community Makeover. 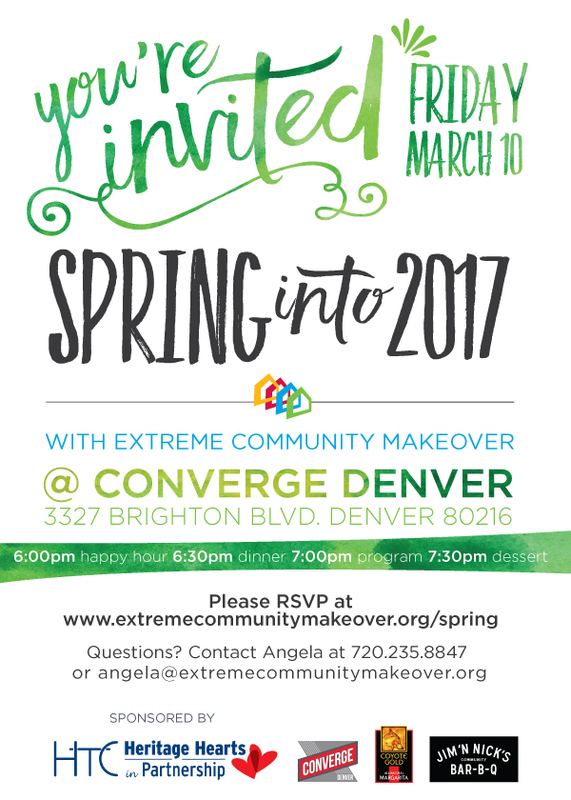 We are interested in learning more about how you got involved in Extreme Community Makeover. Please respond by Friday, February 24 at 5:00 pm to qualify for a $25 Amazon gift card! Those ECM folksâ€¦theyâ€™re rock throwers! Those metaphorical rocks land in community waters and they make a splash – folks show up at the doors of people who need help and they walk the walk. Lives are bettered and smiles are minted with alacrity. And a friend of ECM, Zorba, wants to make a documentary about why you volunteer. We want to talk to you about what happens after the photos, the thank yous, and the taillights fade. The splash is gone but something more powerful is underway – the ripple effect. We want to tell the story of some givers by focusing on 3-4 people in a longer story to be shown on Colorado Public Television. We are looking for folks who have a story to tell and are willing to put up with lights and cameras showing up, more than once. If this could be you, contact Zorba. Our annual Go: Westwood project will be on Saturday, April 22 this year. We hope to have 400+ volunteers participate during this day and would like to invite you to join us! 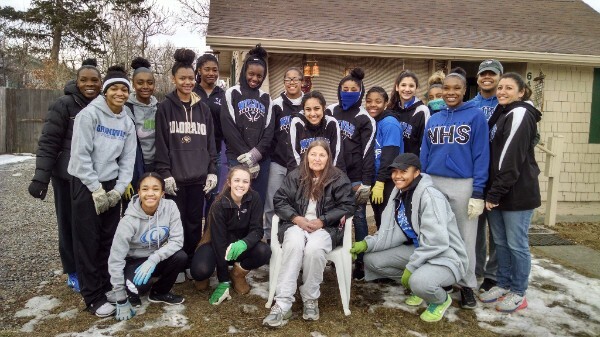 Thank you to the Grandview Girls Basketball team for volunteering last month!